For my Yarn Along project this week, I'm working on Finn's Christmas sweater. 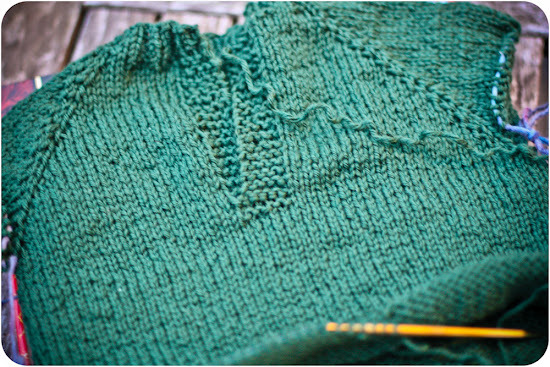 I decided to frog the other sweater I'd been working on because it wasn't turning out quite how I pictured it. I went back to a basic top-down sweater pattern, in a henley style because it's easier to get over Finn's large noggin. It likely won't win any design awards, but it's easy, quick, and it will wear well. 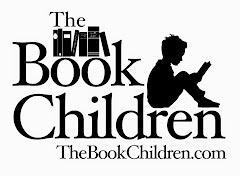 For our reading this week, we are in full Christmas story reading mode. 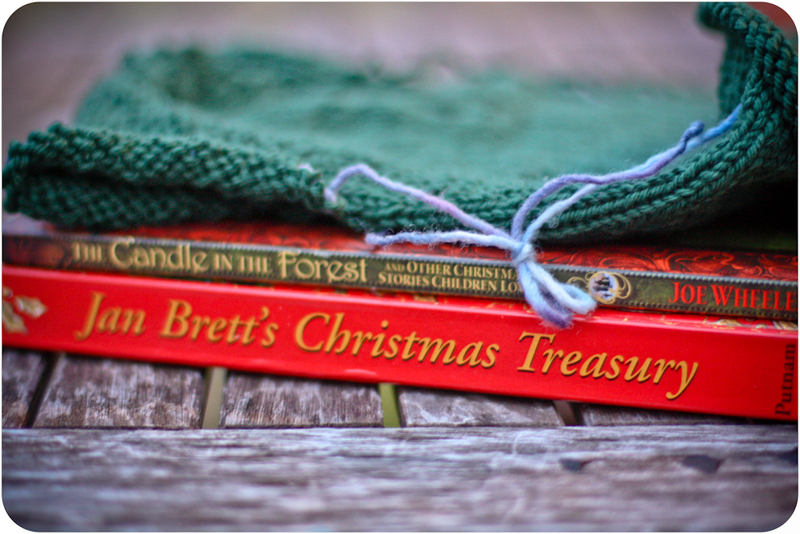 The older kids favorite stories are from The Candle in the Forest, and Finn, well, all of them really, are enjoying Jan Brett's Christmas Treasury. The favorite story from the Treasury right now is The Trouble with Trolls. love the henley feature! Great color choice for your son!! It looks blue green on my screen. Love color! And this pattern look simply beautiful, especially I like the neckline. That is a great color. I'll have to check out Trouble with Trolls - we've read so much Jan Brett but not that one. Thanks for the rec! We are going through our Christmas books as well and of the ones I have read aloud thus far, I like best The Beautiful Christmas Tree. Thank you for sharing your favorites Joy.